Mo'ne Davis has nowhere to look but up, with endless opportunities awaiting this fearless young woman who not only entertained with her sheer talent and gusto, but also inspired. SOUTH WILLIAMSPORT, Pa. -- They always did describe her as the mother of the team. That got lost in the shuffle, of course, not the first image projected to the world of Mo'ne Davis. Maybe not the one that best served the story of ace pitcher, steely competitor, team leader and pioneer. Women's sports advocates lauded her influence; professional athletes congratulated her as if she was one of them. And if you stacked up the newsprint alone that she covered over the past week, it would no doubt tower over and outweigh the 5-foot-4, 111-pound eighth grader. But when her coach Alex Rice sifts through the memories of the Little League World Series, he will no doubt hold close the image of Davis consoling his son Jack, who had the final out of the Taney baseball run in a 6-5 loss to Chicago, which sent the Jackie Robinson West team to the U.S. finals against Nevada and eliminated Mo'ne's Philadelphia club. "That's what she does," Rice said. "She reassures kids and props them up." 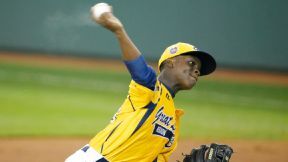 It was another inner-city team with outstanding pitching in Marquis Jackson of Chicago that sent Philly home. Davis threw a shutout in her first appearance last Friday, struck out six batters in 2⅓ innings in her second start Wednesday, and gave America a new household first name. She leaves Williamsport with 27,000 Twitter followers, talk-show bookings and a newfound taste of what celebrity is like. "I knew she was terrific beforehand and what she went through just cements what an amazing young lady she is," Rice said. It wasn't always fun, she admitted. Thursday afternoon, a few hours before the game's scheduled starting time of 7:30 p.m., Mo'ne and a teammate tried lining up at a concession stand outside the stadium and were instantly surrounded by well-meaning fans bearing camera phones and pens, all in the hope of securing evidence that they saw her, met her, took part in the phenomenon. Politely declining, it was another instance for the tournament's "It" girl of how normalcy might be an elusive pursuit for a while. 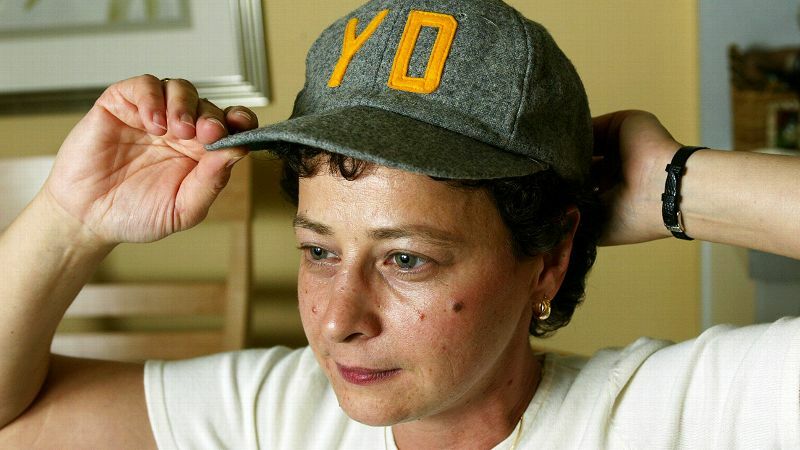 But there was no denying she made an impact far beyond the Little League complex in Williamsport. Pioneering tennis player legend and activist Billie Jean King, who owns World Team Tennis' Philadelphia Freedoms, observed the Mo'ne phenomenon with interest. "Girls like Mo'ne get covered by the traditional media when they are in the male arena," King said Thursday night, referencing Annika Sorenstam playing in the PGA's Colonial Classic. "Otherwise they don't get coverage because 95 percent of the media is male. If she threw a shutout in the Little League Girls' World Series, nobody would care. 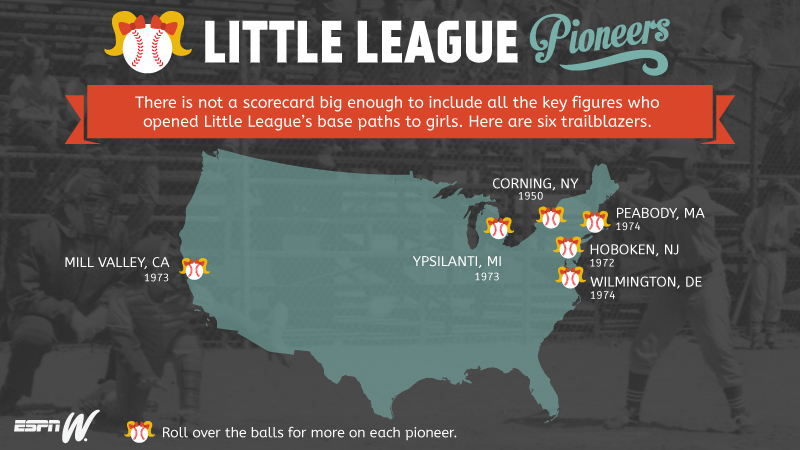 "It would be really great if we figured out how to get girls more access and opportunity and pathways to more leagues and more sports like boys." Davis sparked discussion in several different arenas. Aldon Morris, a sociologist at Northwestern University, said his differed from the view that Davis' story got too much attention. "I just hope around her is a great team of relatives and advisers and so forth, because this sort of fame at a young age really can get tough to handle at times. While we're all glued to the stories, at the same time we have to hope she will be nurtured and her interests represented and people around her genuinely protect her interests." Black, white, male, female, urban, rural rich, poor we want all kinds of kids playing and particularly when you have a diverse group ... it sends a message that baseball is a wide open sport. Asked to speculate on Davis' future, Rice smiled. "Oh gosh, the world is her oyster, right?" he said. "It's a good question. Mo'ne will shape her own future and it's going to be terrific. She's going to have a great future and she's going to dictate exactly what it is, and good for her." Marketing expert Robert Tuchman estimated Davis' exposure here this week can translate into endorsement deals worth "high five figures to low six figures," should she choose to accept them. "Absolutely, if you're a brand especially trying to target that age group and females, she's it," said Tuchman, president of Goviva, a New York-based sports and marketing company. "The important thing is, they have to move extremely quick. She's going to be out of the collective memory of our society pretty soon. You have to hit it while it's hot, get it in the works next week. But you can do some great stuff with her." Of course, signing endorsement deals could potentially jeopardize Davis' NCAA eligibility [because she attends a private school, Pennsylvania high school rules differ], but it is unclear at what age a girl who may play any one of several sports collegiately is considered a prospect. And given the uncertainty and current court cases challenging the NCAA, rules could change and there could be legal avenues around them. The reason Mo'ne Davis is everywhere: Whether they like it or hate it, girls are often rerouted from baseball to softball at a young age. 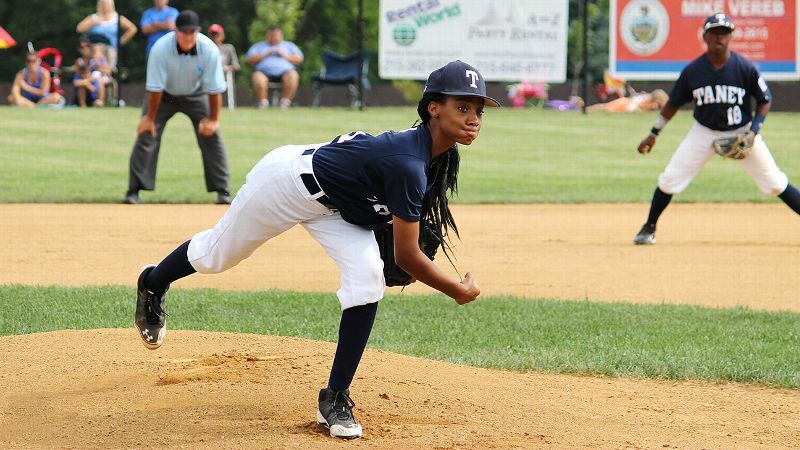 Why Mo'ne Davis matters: For the girls gathered on the hills and in the grandstands in Williamsport, Mo'ne Davis' confidence on a baseball field filled with boys is empowering. Too much too soon? Is the Williamsport spotlight too bright? 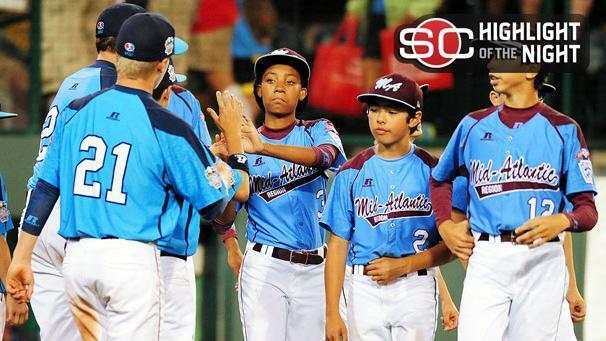 An all-boys world: Mo'ne Davis and Emma March find friendship in a secret hiding place. 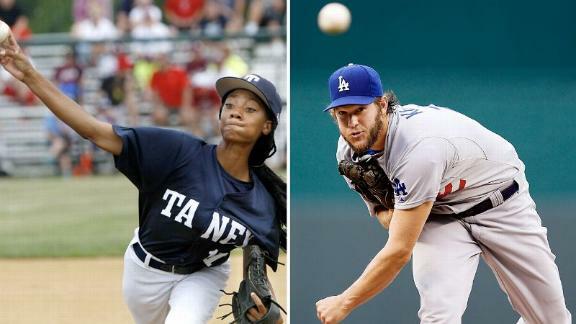 Fan Frenzy: How Mo'ne Davis is managing to act like a pro. Also, Davis could be a professional in one sport such as baseball (a sport that doesn't exist at the varsity collegiate level for women), and not basketball, her preferred sport. "No way the same rules will be in place in five, six years," Tuchman said. As for anyone suggesting that she is being exploited, Tuchman was incredulous. "How can you not do it," he said. "I don't know how anyone can criticize someone for taking advantage of a situation like this. Say she doesn't become a great athlete and that money actually pays for college? She's got to milk this opportunity." Rooting for her if she does will be parents of the Chicago team, who found in Philadelphia a kindred spirit as the only other inner-city Little League participant. "It's a feel-good story for her as well as for us," said Alvin Jones, father of standout hitter Pierce Jones. "If I wasn't rooting for our team, I'd be rooting for their team. There's just very positive aspects to [Mo'ne's story] and what she has been able to accomplish. That story should've been told." The publicity surrounding Davis no doubt deflected some attention away from Chicago, which has a feel-good story of its own as a team unifying a city and the team's South Side home, an area rife with violence. 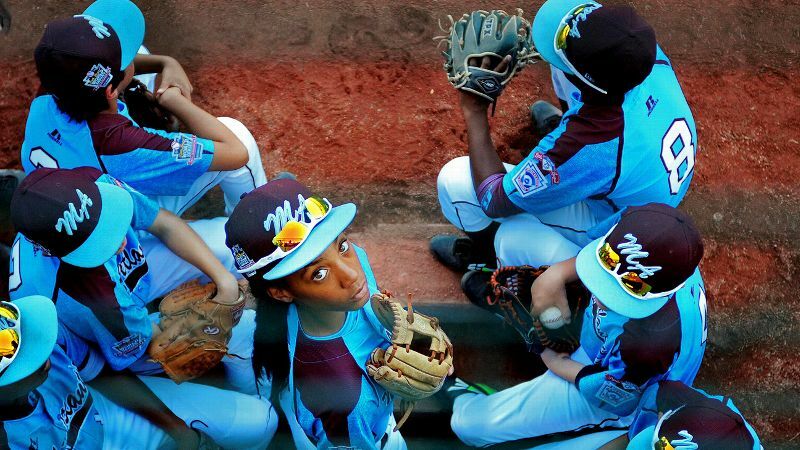 They are the first team representing the South Side in 31 years, the second team from Little League's Urban Initiative to make it to the World Series. "We don't mind sharing the limelight," said Pierce's mother Nedra. "I love it. I love the story. I love her." Thursday's was a matchup Rice said he had been eagerly anticipating all tournament. "In terms of what it says, Little League, MLB, can all take a look and see the product that's going to be on the field ... and the potential of what they can find in inner cities." Newly elected MLB commissioner Rob Manfred, who threw out the first pitch before Wednesday's semifinal between Philadelphia and Nevada, said Thursday's matchup helps in the league's mission to develop baseball in America's inner cities. "Black, white, male, female, urban, rural, rich, poor -- we want all kinds of kids playing, and particularly when you have a diverse group ... it sends a message that baseball is a wide-open sport," he said. "It's a great sport for people from all sorts of backgrounds, and the publicity you get associated with an event like this -- you can't pay for that messaging. "It's so wonderful when people turn on their televisions and they see people from very different socioeconomic backgrounds in a setting like this. It just sends a great message." Phillies first baseman Ryan Howard came to Williamsport on his off-day Thursday, and like so many others professed that he too had caught Mo'ne fever. "I think what she has done is she's set new boundaries," he said. "To me ... it's not about race, it's not about [gender] or anything like that, it's about your talent. She's shown that she has the talent to go out there and play, and she's inspiring both boys and girls." And yet there are still barriers to cross, one of the first being when this will stop being a big deal. "I am waiting for that day," said Deborah Slaner Larkin, newly named CEO of the Women's Sports Foundation. "As we say often, one is token, two a couple, and three -- we start talking agenda rather than gender. "Whether it's the boardroom or playing field, Mo'ne and others are starting to make this more agenda than gender. When you play sports, it's not how tall someone is, or the color of skin; it's can they hit the ball, what contribution can they make to a team. She's the whole package." 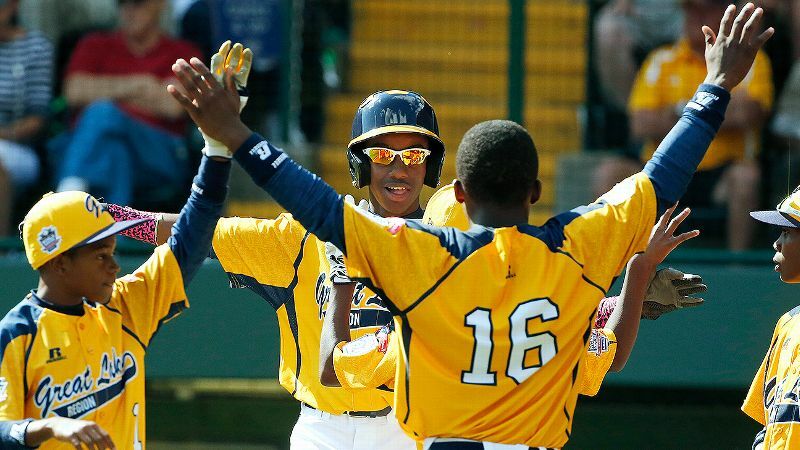 How Much Is Too Much Attention At The Little League World Series?